Coach Jimmy Dale "Red" Parker passed away Monday, January 4, 2016, after a long battle with heart disease. He was born October 26, 1931 in Hampton, Arkansas. He was preceded in death by his wife, Betty; his parents, Floyd and Madelyn Parker; a sister, Judy Wood; and a grandson, Logan Parker. He is survived by two daughters, Vicki Wallace and Cindy Yoos (Herman) and a son, Jim Mack Parker (Robin). He is also survived by six grandchildren, Matthew Wallace, Julie Hollis, Lance Parker, Kristi Kendrick (Devin), Drew Yoos (Sara), and Elizabeth McKenna (Marc) and six great grandchildren, Taylor Wallace, Maddie Hollis, Parker Hollis, Anna Grace Hollis, Ella Parker, and Carter Kendrick. After graduating from Rison High School in 1949 and Arkansas A&M College in the spring of 1953, he began his coaching career as the head football coach at Fordyce High School that fall. He spent eight years at Fordyce, the last three years highlighted by a 36-0 record. These were magical years for him; the memories created here and his love for the Fordyce community led him back to open a business in 1977 and return for a second stint as a football coach in 2003. 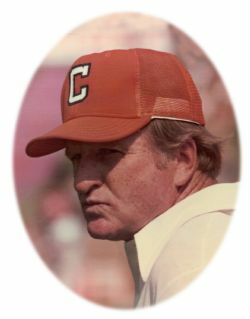 He went on to coach college football at his alma mater, Arkansas A&M College (1961-1965), The Citadel (1966-1972), and Clemson University (1973-1976). After spending three years out of coaching, he returned to the sideline as offensive coordinator for Vanderbilt University in the fall of 1980. He went on to be head coach at Southern Arkansas University for the 1981 season. He spent six years leading the Delta State football team (1982-1987) before taking the role of offensive coordinator at Ole Miss for four years (1988-1991). Many offensive records were broken during his stint at Ole Miss. After spending one year consulting with Hinds Junior College in Mississippi, he returned to the high school ranks at Rison (1993-1995). The Wildcats went on to a 15-0 State Championship season in 1995. He was called back to the college ranks in 1996 to Ouachita Baptist University and led the Tigers in their first three years of Division II football. He returned to high school coaching for good in 1999, where he spent four years at Bearden (1999-2002) and four years at Fordyce (2003-2006). He retired from coaching in 2006 but decided in 2008 that retirement was not for him. He then took over the program at Woodlawn High School. With the declining health of Betty, he moved closer to family in 2009. He then accepted the job of starting a football program from scratch at Harmony Grove High School in Haskell. The overwhelming support from the administration, the coaching staff, the players, and entire community made for some of the most satisfying years of his career. Throughout his coaching career he achieved numerous awards. Among them were the Atlantic Coast Conference Coach of the Year, the Arkansas Sports Hall of Fame, the Citadel Sports Hall of Fame, Arkansas Sportswriters Hall of Fame, Dallas County Sports Hall of Fame, and the Coleman Dairy KATV Coach of the Year. The Parker family would like to thank all the players, coaches, and fans that played a part in the making of his career. His legacy will live on for many years to come. A special thanks to all the doctors, nurses, and staff members at Baptist Health in Little Rock. From the LVAD Department to the 8th floor heart wing, he was cared for with love and compassion. Thanks to their expertise, he was able to continue to live out his dream of coaching football well beyond what anyone expected. While he was known for being a football coach, his pride and joy was his family. "Let it be very clear that my family is my heart, my soul, my strength, and my backbone." He will be dearly missed. A celebration of Coach Parker�s life will be held at 1:00 p.m., Friday, January 8, 2016 at Geyer Springs First Baptist Church, 12400 Interstate 30, Little Rock, Arkansas 72210. Interment will follow at Pinecrest Memorial Park in Alexander, Arkansas with his grandchildren serving as pallbearers. Coach Parker requested honorary pallbearers to be any former and current coaches and players in attendance. Visitation will be from 6:00-8:00 p.m., Thursday, January 7, 2016 at Roller-Ballard Funeral Home, 306 South Main Street, Benton, Arkansas, 72015 (501-315-4047). In lieu of flowers, the Parker family requests that donations be made to one of the following: Baptist Health Heart Transplant and VAD Institute, 9500 Kanis Rd. Suite 410, Little Rock, AR 72205, Fordyce Redbug Alumni Foundation, P.O. Box 57, Fordyce, AR 71742, or the Harmony Grove Football Program - Red Parker Memorial, 2621 Hwy. 229, Benton, AR 72015.